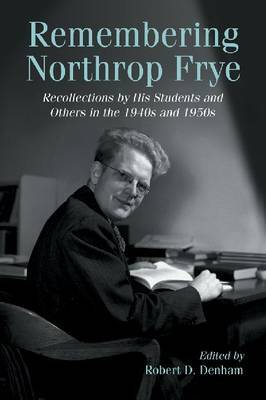 This book brings together letters from 89 of Northrop Frye's students, friends, and acquaintances in which they record their recollections of him as a teacher and a person during the 1940s and 1950s. A number of the correspondents also provide their impressions of Victoria College at the time, where Frye taught for more than 50 years. The letters provide insights into Frye as a teacher that are not elsewhere available, and reveal a consistent portrait of an intellectually superlative, generous, and thoughtful man.